RunBB.net provides free custom themes for you to use on your simple machines powered forums, all our themes are updated regularly to support the latest versions of smf, currently SMF 2.1 RC2. All our latest themes are fully responsive and will work across all devices, we will also try our best to make sure that our free themes have cross browser compatibility to ensure they work across all modern browsers. 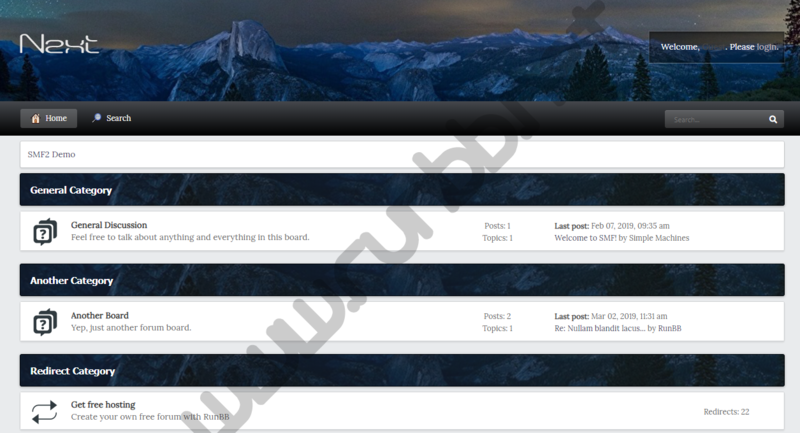 Our themes are tested across popular modern browsers to ensure your visitors have no issues while browsing your forum. Our themes resize and adapt to your device automatically, so your site will look great on desktop, tablet and mobile! Our themes take advantage of Font Awesome where possible, this can help reduce load times of your forums compared to images. Mauris enim enim, venenatis a sollicitudin in, cursus et erat. Quisque tincidunt bibendum risus, in. Page created in 0.020 seconds with 24 queries.